Danish designer Verner Panton is one of the group of designers who broke with the Scandinavian tradition of producing handcrafted teak wood furniture. He shares this distinction with Poul Kjaerholm and Arne Jacobsen, in whose architecture studio he worked from 1950-2. As early as 1949-50, Panton began drafting chairs with no rear legs during his studies at the Royal Academy of Art in Copenhagen. In 1955 a chair emerged that was made of molded laminated wood and featured one unbroken S-curve; it was part of an entire furniture line. However, Panton was fascinated by the opportunities opened up by the new plastics, which, due to their lack of structure, do not limit the designer to any particular forms, and engender inexpensive products. This new formal freedom caused him to reconsider the theme “chair,” and he again returned to the S-chair and modified it. The crucial feature was the curved lower part, which rendered the base of the S-chair superfluous and afforded the desired leg room. At the end of the fifties, together with Dansk Acrylic Teknik, he developed the prototype for the “Panton-Chair” in plastic and exhibited it at the Mobilia-Club on Eriksholm, near Helsingör, in the hope of finding a suitable manufacturer with whom he could realize his idea. He found none and the cantilever-base plastic chair initially remained a dream. Panton returned again to working with laminated wood. In 1962-3 he paid a visit to Vitra. Only after making contact with the owners Willi and Rolf Fehlbaum, who manufactured Herman Miller products under license, did years of experimentation finally yield the first fiberglass-reinforced polyester prototypes in 1967. However, the desire to make the “Panton-Chair” stackable once again delayed production, as the thickness of the material had to be reduced without forfeiting stability. 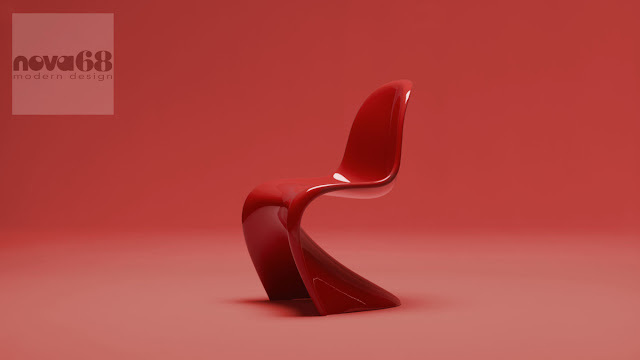 The final version went into serial production in 1968 at Vitra under the label of the Herman Miller Furniture Co. It was made of Baydur, an HR polyurethane foam produced by the Bayer Leverkusen company, and was varnished in seven colors. The “Panton-Chair” was thus the first product developed jointly by Vitra and Bayer Leverkusen to be included in the Herman Miller collection. It quickly won fame and became a Pop Art icon. In 1970 Vitra replaced the costly production technology, which required thirty minutes to produce one piece, with Thermoplast injection molding. Using a dyed granulate Luran-S made by BASF, the edge profiles had to be strengthened and reinforcing ribs placed underneath the seat. 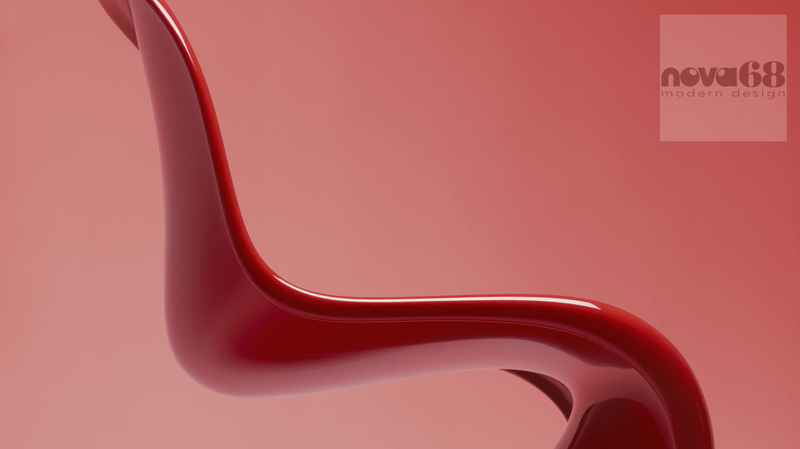 In the long run, however, the material did not adequately withstand dynamic stress; Vitra discontinued production in 1979 and the license was returned to Verner Panton. Starting in 1983, Horn GmbH & Co. KG in Rudersberg began making the chair using HR foam again, and sold it until the end of the eighties through the WK association. Since 1990 Vitra has been producing the “Panton-Chair” using HR foam. 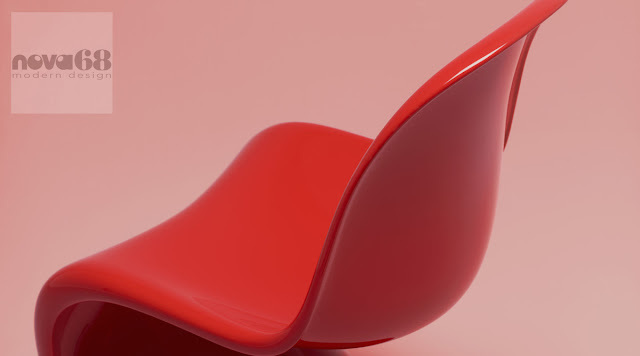 The colorful history of the first serially produced cantilever-base chair made of one single piece of plastic includes numerous quarrels as to the true designer. Because Panton had unsuccessfully sought a manufacturer for quite some time, he had already made his ideas available to a limited audience despite the fact that mass production did not seem imminent. When the “Panton- Chair” finally went into serial production, many other designers claimed they had also pursued this idea, although without taking steps to publicize it, have it serially produced, or obtain a patent.